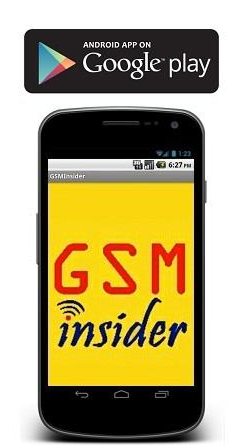 (GSM Insider) - At the moment, there are white, red and yellow colours are available for the Nokia Lumia 920. So how about another choice yet? Matte grey pop up at Harvey Norman in Australia. Thinking that red and yellow too bright for you? You will definitely like this matte grey for sure. A matte grey Nokia Lumia 920 spotted at the Harvey Norman online store in Australia. Seems like there are high percentages that Nokia going to add another colour to its flagship Windows Phone 8. 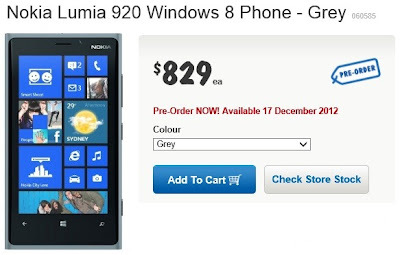 Perhaps the matte grey will not arrive so soon, since the Nokia Lumia 920 is yet to widely on sales. It is good to remind you that Nokia likes to add more colours when the devices getting popular soon. However, the image was soon removed and replaced with another image. This image no longer available at the moment. It will definitely a good news for those who interested in the Nokia Lumia 920.